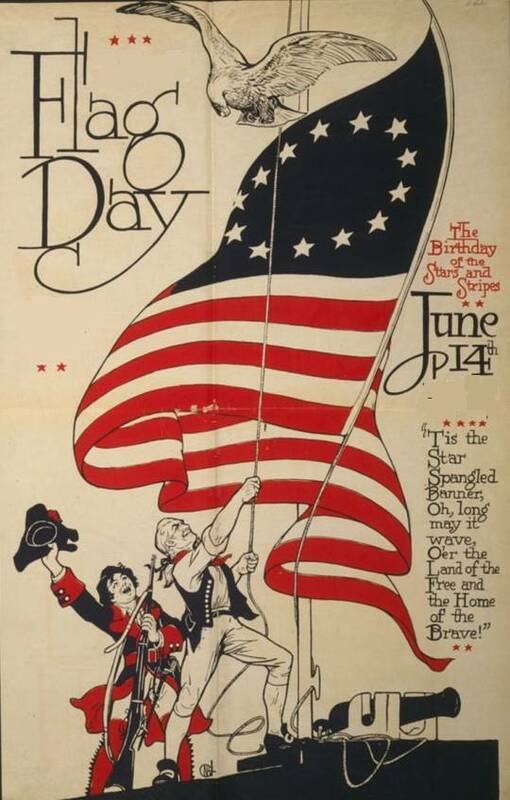 The original Pledge of Allegiance, "I pledge allegiance to my flag and the Republic for which it stands -- One nation indivisible -- with liberty and justice for all," was written in September of 1892 by Francis Bellamy for "The Youth's Companion" magazine in Boston. The phrase was printed on leaflets and sent to schools throughout the United States. The first organized use of the Pledge of Allegiance came on Oct. 12, 1892, when some 12 million American school children recited it to commemorate the 400-year anniversary of Columbus' voyage. In 1923, the first National Flag Conference in Washington D.C. voted to change the words "my flag" to "the Flag of the United States of America." Congress officially recognized the Pledge of Allegiance in 1942, but in 1943, the Supreme Court ruled that public school students could not be forced to recite it. The words "under God" were added in 1954 by then President Eisenhower, who stated at the time, "In this way we are reaffirming the transcendence of religious faith in America's heritage and future; in this way we shall constantly strengthen those spiritual weapons which forever will be our country's most powerful resource in peace and war." I pledge allegiance to the Flag of the United States of America, and to the Republic for which it stands, one Nation under God, indivisible, with liberty and justice for all.